Welcome to the Marin County Fire Chief's Website. The Marin County Fire Chief's Association is dedicated to promoting progressive leadership and the coordination of legislation, prevention, training, standards, information, and eduction related to fire, ems, hazardous materials incidents, and disasters. This is a online resource for files, events, resources, and communication for the Training, Operations, EMS, and Chiefs sections. This site requires member access. If you do not have access but would like to, please email admin@marinfirechiefs.org or go to our Access Request Form. The Marin County Fire Chief's Association was formed to promote informed and progressive leadership and to coordinate all Marin County Fire Service activities that result in control and reduction of impacts from fire, medical emergencies, hazardous materials, or disasters through legislation, prevention, training, standards, information and education. The goals of the Marin County Fire Chief's Association is to further the professional advancement of the fire service to ensure and maintain greater protection of life and property from fire, natural and man-made disaster, or the other sudden emergencies. 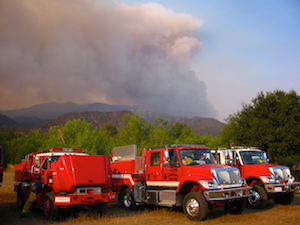 If you live in the Wildland Urban Interface, you must provide firefighters with defensible space to protect your home. By removing weeds, brush and other vegetation. 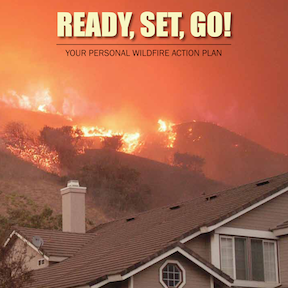 "Ready Set Go is a simple program that reinforces key points vital to survival in Marin's hillside communities during fire season. I believe this program can and will save lives." - Paul Smith, Jr., Fire Chief. Kentfield Fire Protection District.